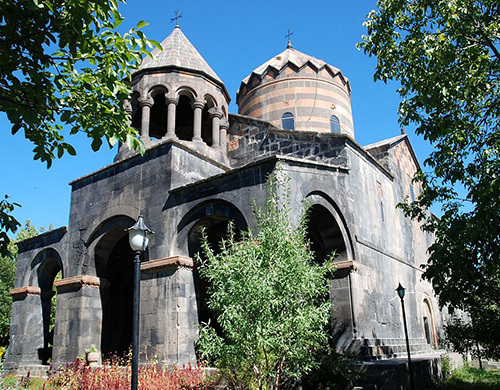 St. Gevorg or better known Mughni church is located on the southern edge of the Mughni village in the Aragatsotn region of Armenia. The fate of the foundation of the church is not distinct. 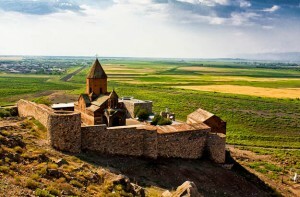 But according to 17th-century historian Zakaria Sarkavag, the monastery was founded by the members of Hovhannavank. 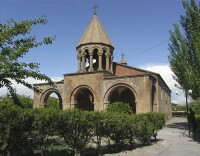 The remains of Saint George were moved here. 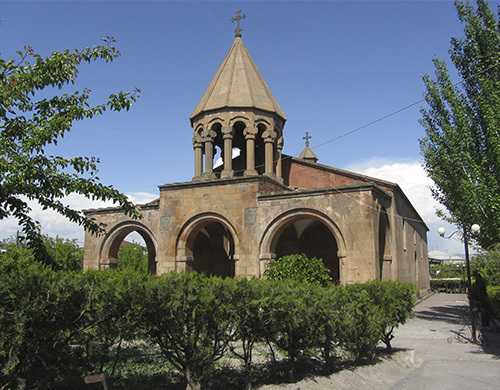 Probably it was at the end of the 13th century because already in 1278 were copied the manuscripts in the Mughni's church. 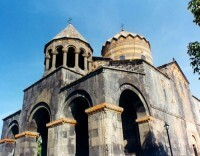 The other part of the remains were moved to Georgia for the cure of the Georgian prince. 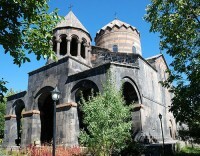 Later, in the same place of the remains of the Saint was built Tbilisi's Saint Gevorg church. 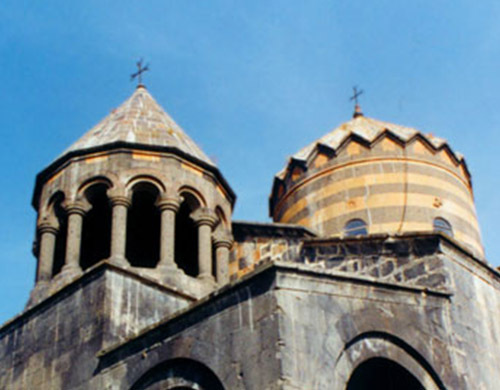 During 13-15th centuries the monastery was a famous sanctuary where were written different manuscripts. 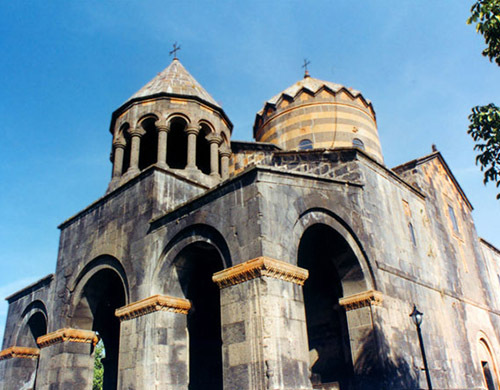 In 1580 the leader of the church Master Voskan founded a bishop sear in the church. 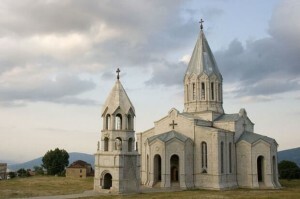 In the 17th century, the monastery was in its highest peaks, in that time the church was recovered twice. The church is rectangular domed basilica with black, yellow-red stones. 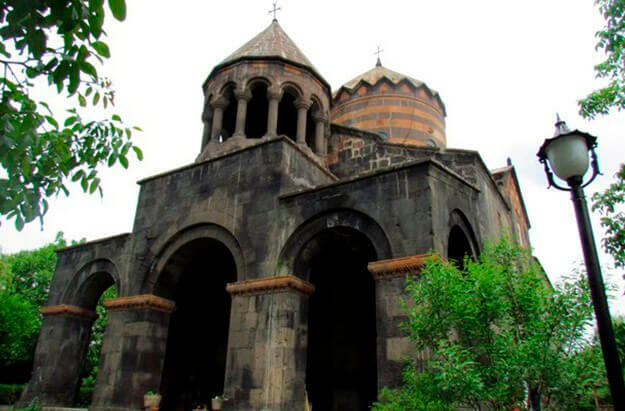 It is located in the monastic complex which is surrounded by fortress walls and includes the refectory, warehouse, and the water spring. 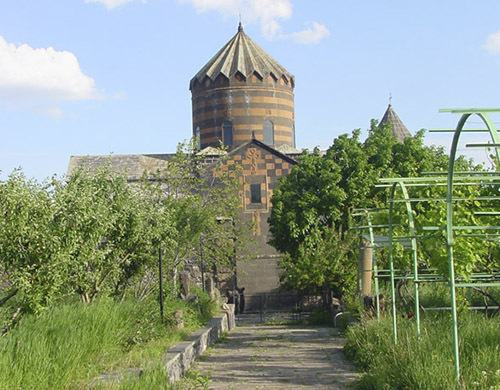 In the writing house of Mughni were famous writers as Simeon priest with his famous copied works of "Tonakan" and "Avetaran". Mkrtich priest copied "Gandzaran" and "Tchashots". In the interior walls of the church are numerous frescoes around the apse and on the left wall leading to the tomb of S. George. 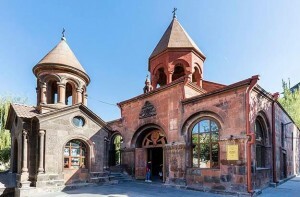 Most likely they were painted in the 17th century by Naghash Hovnatan who was the author of the decorations of the Etchmiadzin Cathedral and other churches near Yerevan and Agulis. In the churchyard you will see some khachkars (cross-stones), the oldest one dates back to 932 the newest one 1975. There is an interesting story about the latest khachkar because no one knows who brought it there. The church is surrounded by a beautiful garden; the locals of the village take care of it. 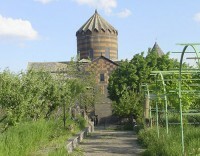 The Saint Gevorg Monastery of Mughni was a famous sanctuary; a lot of people with different diseases came here to cure. In this wonderful church, there is certain custom, loving couples visit here before wedding get blessings from the saint, only then tell their parents. 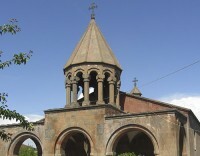 The church also has its own day, every year on September 8 the locals celebrate this event.